While driving through the Ukrainian countryside in 1932, Rhea Clyman, a Jewish-Canadian journalist, stopped in a village to ask where she could buy some milk and eggs. The villagers couldn’t understand her, but someone went off and came back with a crippled 14-year-old boy, who slowly made his way to her. To illustrate the point, a peasant woman began to peel off her children’s clothes. “She undressed them one by one, prodded their sagging bellies, pointed to their spindly legs, ran her hand up and down their tortured, misshapen, twisted little bodies to make me understand that this was real famine,” recalled Clyman in a piece published by the Toronto Telegram, one of the largest Canadian newspapers at the time. Largely forgotten, a Ukrainian professor in Canada is writing a book about Clyman, the first ever biography of the intrepid reporter. Clyman was born in 1904 in Poland, then a part of the Russian Empire, and immigrated to Canada when she was 2 years old. At the age of 6, she was hit by a streetcar and had her leg amputated. She spent the next few years in and out of hospitals. Yet this didn’t stop her, at age 24, from traveling alone to the Soviet Union and trying to make a living as a freelance foreign correspondent. 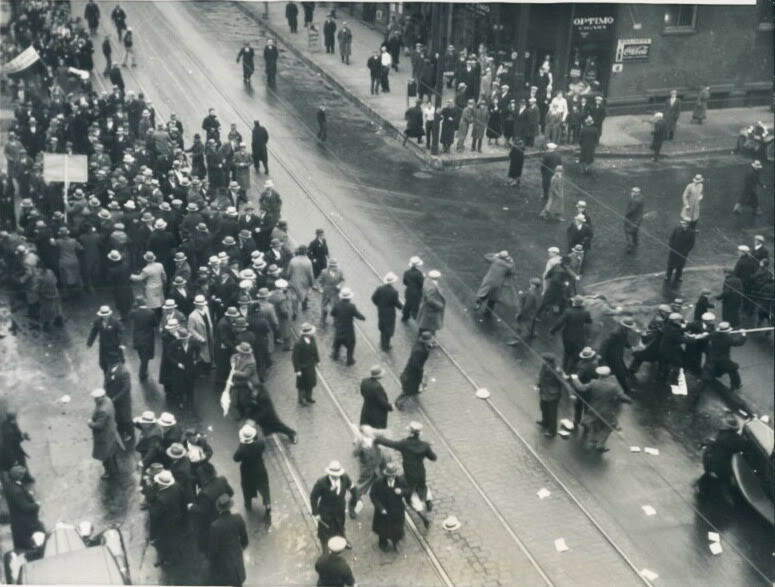 In 1928 Clyman got off the train in Moscow with no acquaintances and only a few words of Russian. She spent hours in the train station until someone showed her the way to a hotel, where she slept in the bathtub of an American journalist. She was to remain in the Soviet Union for the next four years. At one point, Clyman traveled to Russia’s far north to the town of Kem, near a Soviet prison camp, a place off-limits to foreigners. 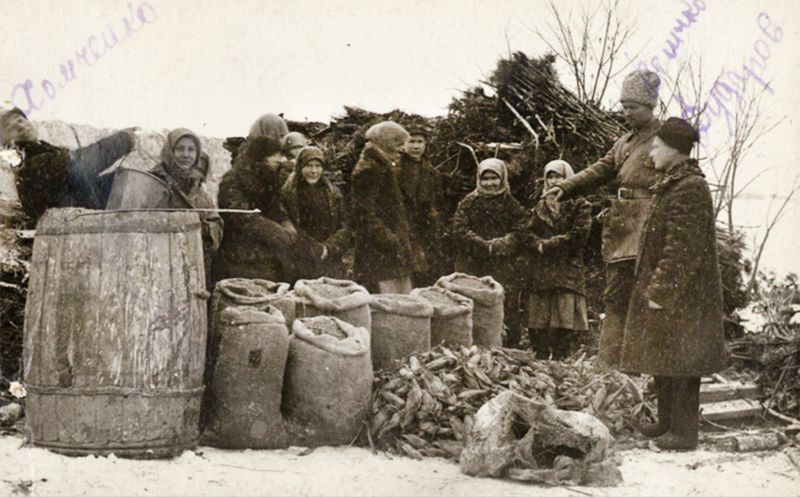 She met the wives of the prisoners, saw the former inmates who were not permitted to leave the town even after they were freed, and reported on how the Soviets used political prisoners as forced laborers to chop wood. This was an important story for Canada, which was then losing its lumber market in the United Kingdom to the cheaper Soviet competitor. “It supported the claims that cheap labor was used in the Soviet Union, and [that’s why] Canada couldn’t compete,” Balan said. 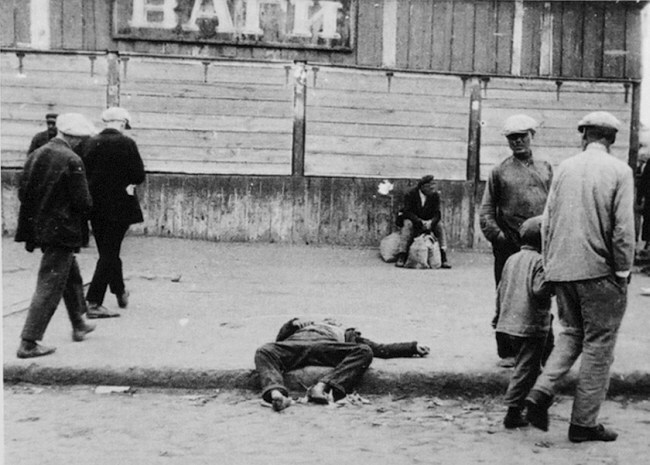 But it was Clyman’s coverage of the Holodomor, the man-made famine estimated to have led to the deaths of some 4 million Ukrainians between 1932 and 1933, that really interests Balan. He first came across Clyman’s work while searching through Canadian newspapers for what was written about the famine in Ukraine. In 1932, Clyman drove in a car southward from Moscow through Kharkiv — then the capital of Ukraine — to the Black Sea and on to Stalin’s birthplace in Georgia. In Ukraine, she passed empty villages and wondered where had all the people gone? 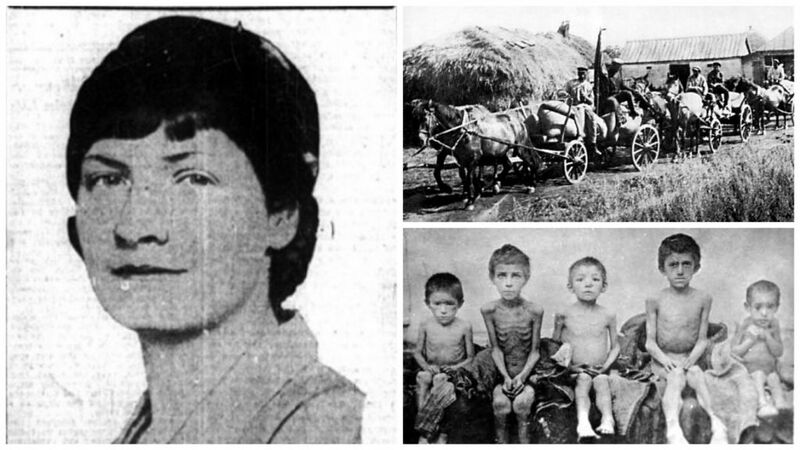 A group of villagers on a collective farm gathered around her to see if she could bring a petition to the Kremlin to tell the Soviet leaders that the people were starving. All their grain had been taken away. Their animals were long ago slaughtered. When she tried to buy eggs, a village woman looked at her incredulously and asked if she expected to get them for money. Balan said that Clyman developed insights into the causes of the famine — that it was not just due to drought, but a result of forced collectivization. For instance, the Soviet attempt to mechanize agriculture led to problems when the production of machinery didn’t go as quickly as planned. Horses and cattle were already killed, but there weren’t enough tractors to harvest the crops. This was the result of poor decisions from the top, Balan said. When Ukrainians were starving, the Soviets sealed the borders between Ukraine and Russia so that people couldn’t escape, he added. But from there she went to Germany, to report on the rise of the Nazis. Balan still needs to do a lot more research to find the articles that Clyman authored from Germany. He said that he has only been able to read two of them so far. Clyman reported from Germany until 1938, when fled the country on a small airplane together with a few Jewish refugees. Unfortunately, as the plane came in for landing in Amsterdam, it crashed. 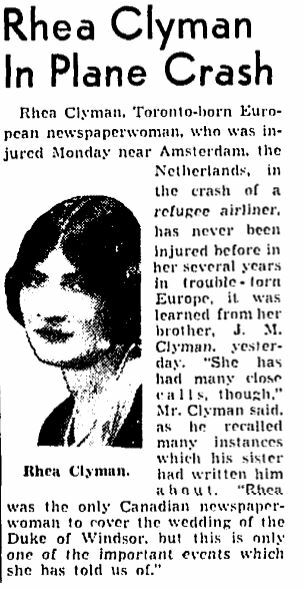 Nearly half of the passengers were killed and Clyman broke her back — though she somehow avoided paralysis. She returned to North America, where she moved to New York and recorded her memoirs. She never married nor had children, and died in 1981. 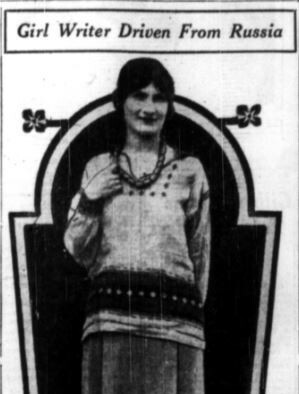 Upon her death, Clyman’s memoir remained unpublished and Balan is hoping to find it. He is also trying to find out where she was buried. He located some of her relatives but they did not know where she was laid to rest, he said. “If we could find her memoirs that would be an exciting thing to see, that would be a goldmine,” he said. Balan recently gave a talk on Clyman at Limmud FSU in New York, the largest gathering of Russian-speaking Jews in North America. The talk was sponsored by the Ukrainian-Jewish Encounter, a Canadian nonprofit that aims to promote cooperation between Ukrainians and Jews. Launched by Canadian businessman James Temerty, the initiative aims to do away with negative feelings between the two peoples. The two peoples have more in common than they might realize — the food, for one — and they should learn more about each other’s culture, said Natalia Feduschak, the director of communications for the Ukrainian-Jewish Encounter.